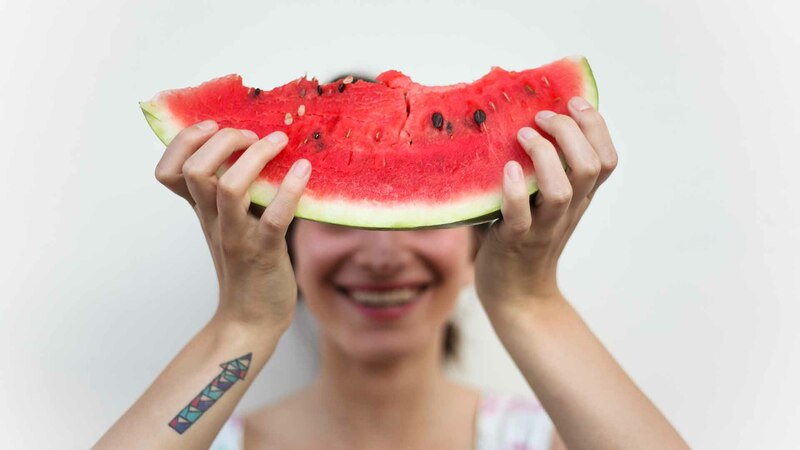 Fruit: How much should you actually eat? Fruit is an excellent source of vitamins and fibre, but can you go overboard? If an apple a day keeps the doctor away, can you ever eat too many? With growing attention being drawn to sugar consumption and obesity in recent years, it can be difficult to know what role fruit - and its natural sugars - should play in your diet. At one end of the scale, there’s the ‘fruitarian’ movement, where people exist on a diet of fruit alone. Steve Jobs famously named his future tech empire Apple after experimenting with this style of eating. On the other hand, research shows around 50% of Australians aren’t eating enough fruit. So how much is too much fruit? Read on to find out. Why is fruit good for you? There is also growing evidence that a diet rich in whole foods - fruit, vegetables, and legumes - may reduce risk of various types of cancer and cardiovascular diseases. Indeed, robust research of Australian dietary patterns indicate that both fruit and vegetables can lower mortality rates in these two major areas. Many of these benefits stem from the soluble and insoluble fibre found in fruit. Soluble fibre dissolves in water in the body. It can help you to feel full, aid digestion, contribute to lowering LDL (bad) cholesterol levels, and even help stabilise blood glucose levels in people with diabetes. As the name suggests, insoluble fibre found in fruit skins doesn’t dissolve; rather it absorbs water. This softens the contents of the bowel to keep bowel movements regular. Insoluble fibre also helps prevent constipation and related problems like haemorrhoids. The National Health and Medical Research Council recommends Australian adults eat two serves of fruit each day. A typical serving might be a medium-sized apple, banana or orange, or two pieces of smaller fruits like plums or kiwi fruit. A cup of chopped fruit salad or tinned fruit is considered another serve, as long as there’s no added sugar. What happens when you eat too much or too little fruit? Eating too much sugar can lead to a range of health problems including obesity and tooth decay. And while fruit does contain natural sugars, it’s also one of the essential food groups. If you’re not getting enough fruit, you could be at increased risk of illness or disease. The World Health Organisation estimates more than 5 millions deaths each year are linked to inadequate fruit and vegetable consumption. Incorporating fruit into your day is an important healthy habit that is never too late to start and stick to. If you’re not getting your two a day, here are some tips from Felicity Curtain, Spokesperson for the Dietitians Association of Australia to help get you on track. Eat the rainbow: Mix things up with fruits of all different colours to ensure you’re getting a wide range of nutrients. Make sure you’re including orange, red and yellow fruits like bananas, citrus fruits, rockmelon and mangoes, as their Vitamin A properties are important for your immune system. Keep it simple: Fruit is best consumed in its original form - raw and fresh, rather than dried. Whether you slice or dice it for a sweet touch at breakfast or eat as a snack on its own, fresh is best for nutrition. Grow your own. Fruit trees can be a fun addition to a garden, courtyard or balcony. And remember, the tomato is a fruit too! Limit your juice: When fruit is turned to juice, it can lose a lot of valuable fibre, have a much higher concentration of energy, and be less filling. Pre-packaged juices often contain a lot of added sugar. For a fruity drink, try blending a cup of berries with some low-fat milk and yoghurt instead. Be prepared: It can be easy to miss out on our fruit intake when we are in a hurry or on the run. Aim to stock your desk draw or bag with foods that are easily eaten on the go, such as an apple or banana. You could also consider keeping canned fruit in natural juice and frozen fruits on hand, so there’s always a healthy option available. Swap your sweets: When afternoon sugar cravings set in, try swapping out the refined sugar options for a piece of your favourite fruit or a cup of fruit salad. You can still get your sweet tooth fix but the extra fibre can help you feel fuller and more satisfied. There’s no doubt fruit should have a place on everyone’s plate. So look for balance and keep moderation in mind. For more information about healthy choices you can make each day, check out our Healthy Habits page. Does your family really need life insurance?